Flemish painter and draughtsman. He was active in the southern Netherlands at the time when demand was high for decorative schemes embodying the tenets of the Counter-Reformation: altarpieces and other religious paintings form the largest part of his considerable oeuvre. 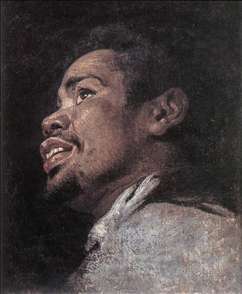 To a significant extent he owes his reputation to the fact that he was one of the earliest and most consistent followers of Rubens, whose formal idiom he disseminated beyond Antwerp s artistic circles. He was a pupil of Raphael van Coxcie, but speedily surpassed his master, and was appointed painter to the Governor of the Low Countries at Brussels, was given a considerable pension, and employed in the churches and public edifices of that place. He resigned his position, however, and removed to Ghent, where he painted his most celebrated works. 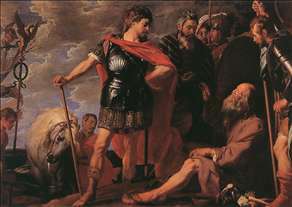 Of his picture of the Centurion and Christ, painted for the refectory of the abbey at Afflinghem, Rubens is said to have declared: "Crayer, nobody will surpass you". He was one of the most eminent Flemish painters, and, although not a man of profound genius, was a perfect draughtsman and an admirable colourist. 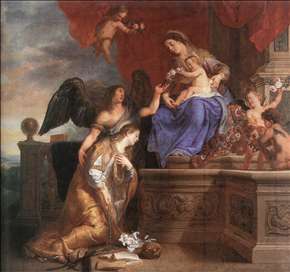 His compositions are simple, correct, and pleasing, his colouring clear and fresh, comparable only in his own school to that of Van Dyck. In many of his important works he employed De Vadder and Achtschellinck to paint the landscapes, he himself being responsible for the composition and figures. 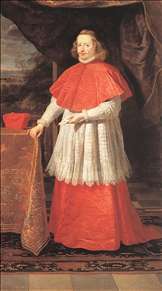 His chief work is the Death of the Virgin in Madrid, and his principal portrait is that of the Cardinal Infant Don Ferdinand, brother of the King of Spain, on horseback. There are several of his paintings at Brussels, three in Ghent, one at Antwerp, and others at Amsterdam, Munich, Nancy, Paris, St. Petersburg, and Rotterdam. His portrait was painted by Van Dyck and engraved by Pontius, and he himself is said to have been responsible for more than one woodcut. See more details about "Alexander and Diogenes"
See more details about "The Cardinal Infante"
See more details about "Head Study of a Young Moor"
See more details about "The Coronation of St Rosalie"